Ash as Samus Aran from the Metroid video games. 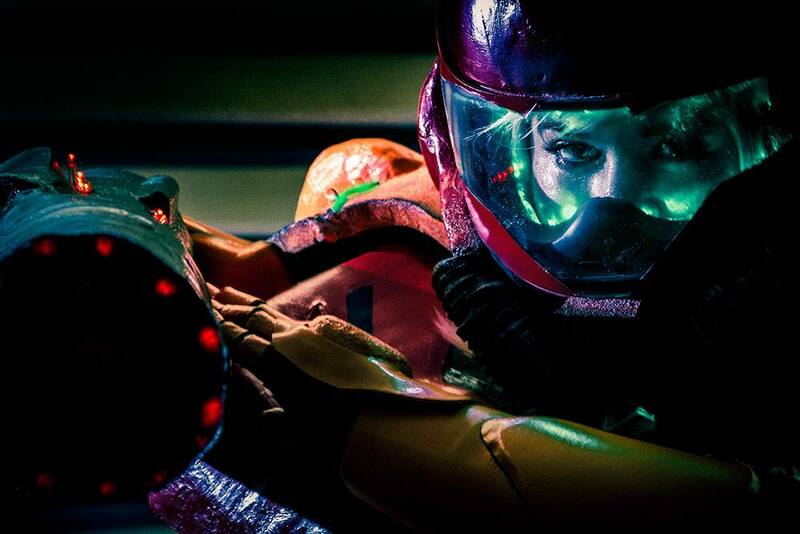 Ash is also in Utah Geek Magazine! She is the featured centerfold cosplayer for the Sept/October issue. You can read UGeek here: http://utahgeekmagazine.com/ Every issue has a cosplayer centerfold with a cosplay tip written by yours truly. Ash is the first to be featured in the magzine and on the Stitch and Seam at the same time. 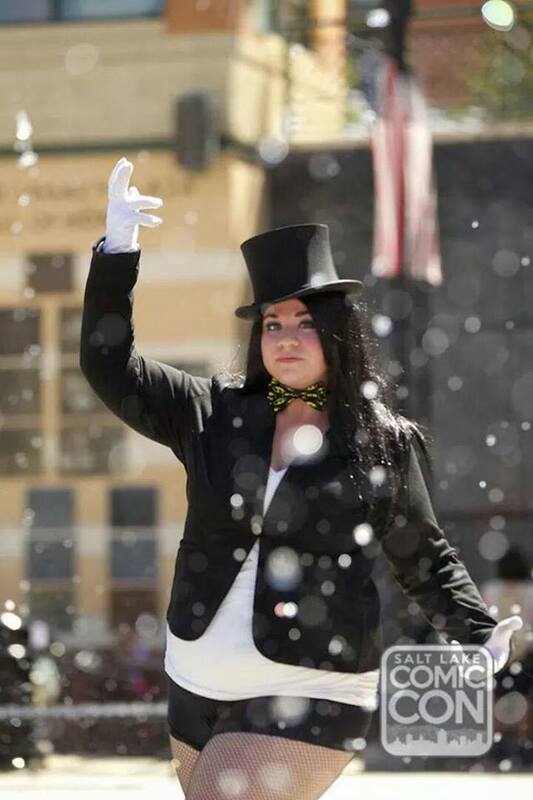 Every other month the Stitch and Seam will feature local Utah cosplayers along with Utah Geek Magazine starting now. 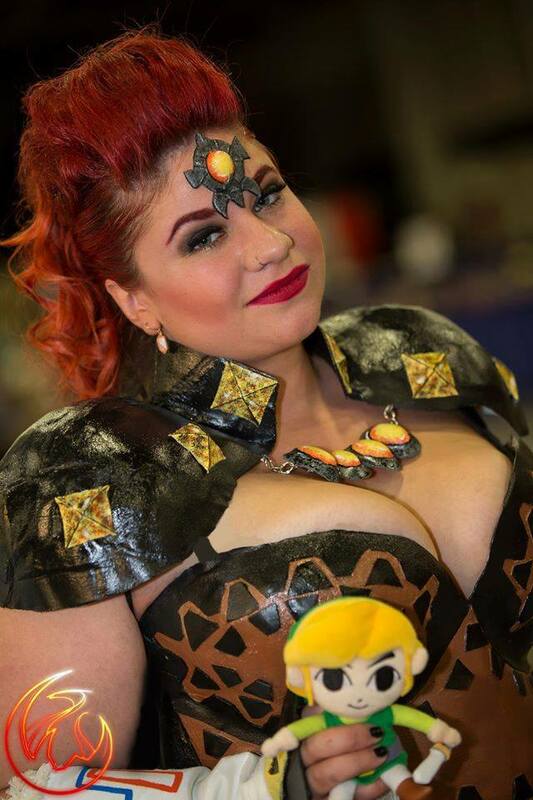 How did you choose the name Ash Sweetring for your cosplay page? I chose Ash Sweetring because well, it's my name! My real name is Ashley Dawn Sweetring, but I've never gone by Ashley, it's always been Ash. Next thing you know, in 1994 a beautiful anime by the name of Pokemon was created! I related to the main character Ash Ketchum in more ways than just our name, and it's entirely under exaggerated to say I have a slight obsession with Pokemon! The reason I wanted to stick with my name as my brand is that I don't only want to be limited to cosplay! I have so many things to show and teach people from makeup artistry, to tutorials, vlogging, I am even going to start streaming video games and conducting game reviews! I wanted to portray myself as a neutral field where all of the fun may be had and you can find something, no matter what your thing is that you may like, affiliated with my name! Impressive. What is the best thing about cosplay and the community that you love? I love being able to make new friends anywhere I go! That's the original reason that I decided to try and Cosplay! I also really love learning and teaching people about skills and techniques that I'd love to pick up or maybe teach someone else something new to improve their hobby! There has been a lot of articles and talk about body positivity lately. How has this affected your outlook on cosplay? I am absolutely all about body, mind and heart positivity! Being able to love yourself in all situations is one of the most important things that we forget to do as humans. 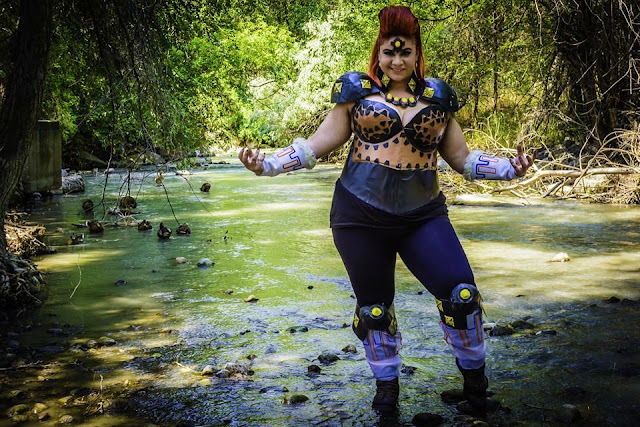 Many people who are plus size seem to have a harder time with the concept of this and tend to put themselves down or not even attempt to Cosplay because they are afraid of rejection. I don't want to tell you that there isn't anyone out there who will give you negative feedback and be a general troll to all cosplayers, but when you finally find the courage to put on that costume that you spent so much time planning, and adjusting to be perfect for you then there is no greater satisfaction or more gratifying victory. Being able to understand and apply this thinking and turn it into actions has changed my life beyond this beautiful hobby. Everyone is beautiful and the sooner anyone understands that, you see a change in them that is contagious and admirable. 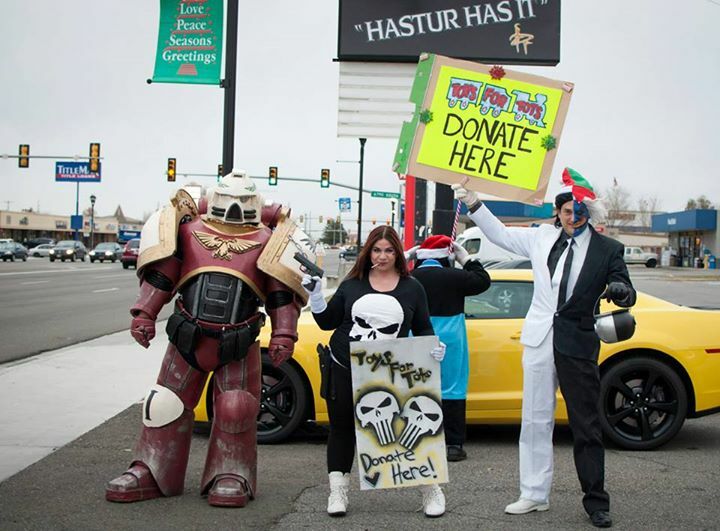 Warhammer armor, Ash as the Punisher, and Eric Hall as Two Face. How should troll behavior or negative feedback be handled? What should someone who is just starting cosplay do if they run into a situation like this? Gosh, I wish there was a correct answer to give for this! My advice would be seriously just to love everyone. If someone ever says a negative comment to you, shake it off and reply to them with, "Have a good day!" Giving someone who is negative anymore time than that is just feeding their ego. Treat everyone the way you would like to be treated and if worst comes to worst then ignore them and continue on with your day! Do you have any experiences you would to share about something that might have changed your mind or shaped your attitude about yourself or body positivity? I can't think of an experience to share, but I have definitely been that person who has been left out due to looking the way I do. I've also been the person who doesn't get opportunities thrown at them due to being plus size. So, I understand how hurtful this situation ends up. I think I've just mentally prepared myself that the possibility of something like that can happen, and I've made a personal commitment to never make anyone feel that kind of pain from something that I took part of. Being able to advocate for everyone to have a better self-image has been one of my goals since! 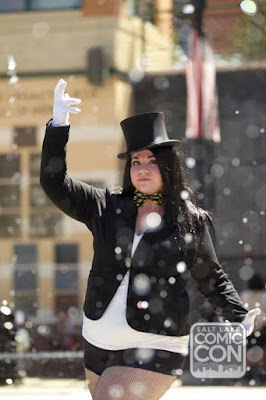 What has been the most interesting or fun cosplay that you have made? My funnest costume that I've made has been the Daedric Armor Set and the most interesting costume I've made has been my Ganondorf! I learned so many new techniques during the making of Ganondorf which also made that one my favorite! Did you have any lessons or previous crafting experience before starting cosplay? I was self-taught! I've always been interested in sewing, so I've always had a sewing machine in my house and as I grew I became more interested with makeup artistry and armory. Eventually with a lot of practice I've gotten to the point I can create full costumes from scratch! Out of all the techniques you have learned, which is your favorite? I love the sand which worbla technique! I learned it from my Cosplay idol Kamui! It involves taking two pieces of Worbla and placing a piece of craft foam in between. The results provide you with a string piece that you can detail and customize as you please! What is the best advice you would give to someone just starting to make their cosplays? I get asked this question so often and I feel like my answer changes every time! I won't be that generic person that just says to "Have fun"! That's too obvious! Of course you should be having fun! My best piece of advice would be to use Cosplay as a medium to challenge yourself! Use it to better your skill-set and push yourself to be a better person than you thought you could have ever been! You can learn so much with cosplay and really tap in on your full potential! What websites, tutorials, or people have helped you gain the skills you have today? What was the best resource for you as you began developing your crafting skills? When I first started getting really involved with building I discovered the wonderful being that is Kamui Cosplay! I started really getting information about my pieces through her eBooks that she sells on her websites! As far as resources go, I went anywhere from The Google, to YouTube to even taking cosplay classes and attending workshops at my local conventions! And as far as local goes, there are so many people who have offered me help and assistance in my construction! Eric Browing, Melodywise and Mauri Tripp, VFire, The Holy Fire Team, Nerds of 'Play and Caliston Armory to name of few that have totally effected my life forever! If you need any help with anything, check them out and I guarantee that they will have an answer for you!